What Kind of Exercises Can You Do?When you are approaching your golden years, or if you are already in your golden years, there are still plenty of exercises you can do that are easy and effective. One of the most effective exercises you can do is walking. Walking is safe and easy, especially if you are not used to exercising or leading an active lifestyle. Peachtacular Home Health Care will also provide you the support you need to keep on exercising in a safe but effective manner. Some other kinds of exercises that you can do may include jogging, running, swimming, cycling, or anything that can get your heart pounding and your blood flowing! 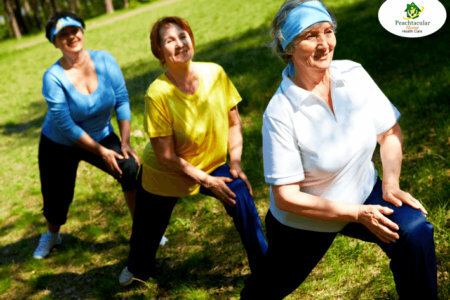 The BenefitsThe advantages of exercising at an advanced age are almost limitless. You will experience a boost in energy, you will look better and feel greater; you will be stronger and happier too. You can even reduce and prevent serious health conditions as well. So if you have thirty minutes a day, it is a good idea to spend it exercising. Also, once you get used to going out and being active, it will become more and more fun even though it can feel like a tiring challenge at first! If you are interested in learning more about exercise and how it can help you out, or if you would like to learn more about our compassionate and high-quality services, please do not hesitate to come and visit our website: www.peachtacularhhc.com. Do you have any questions for us? Feel free to give us a call at 778-858-2695. We are a provider of Home Health Care in Metro Vancouver that you can count on!